I have a niece who loves Monster High. I didn’t even know what it was until she told me about it and it was quite an eye opener! Her birthday was last month and so I wanted to make her a Monster High something. 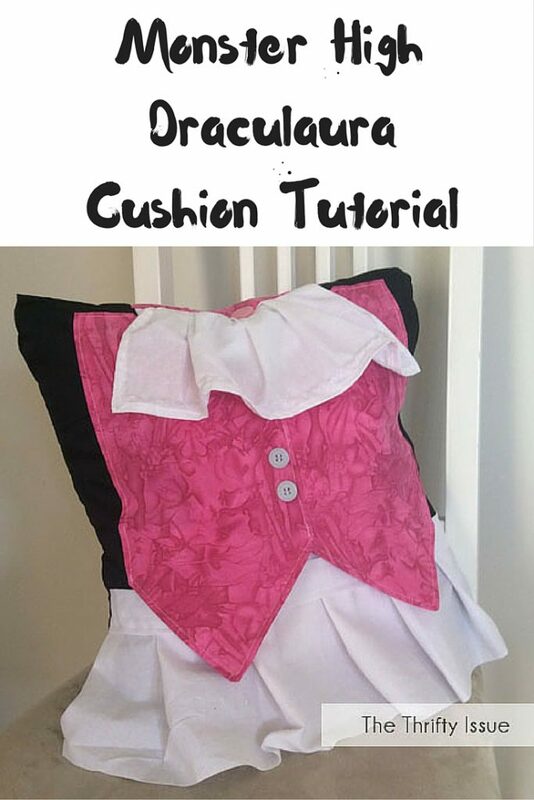 She already has a lot of the merchandise and a costume of her favourite character, Draculaura, so I was stumped for a while then my son started making cushions again and it hit me, a Draculaura cushion for her room. 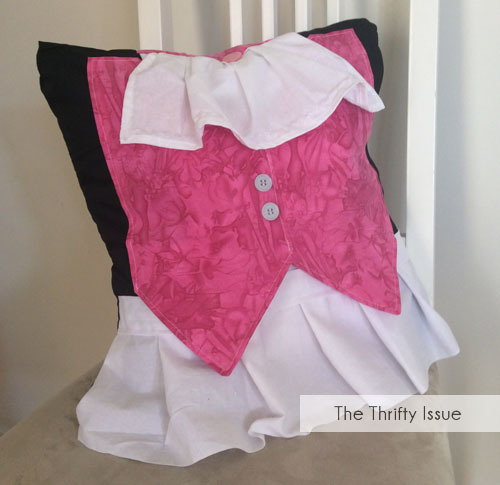 I broke down her outfit which came to a black shirt, white skirt, pink vest with a couple of details such as buttons. I started by cutting the lining to be 2.5 times longer than my cushion and the width of my cushion. Then I cut the base layer for the front side. 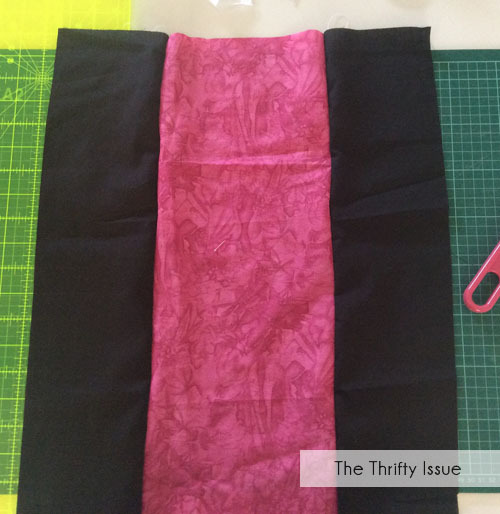 I needed a 2x black/pink back and a black/white for the front to represent the top she wears. I then sewed them together black-white-black. I didn’t add the black/pink back at this point as I needed to added the details first. 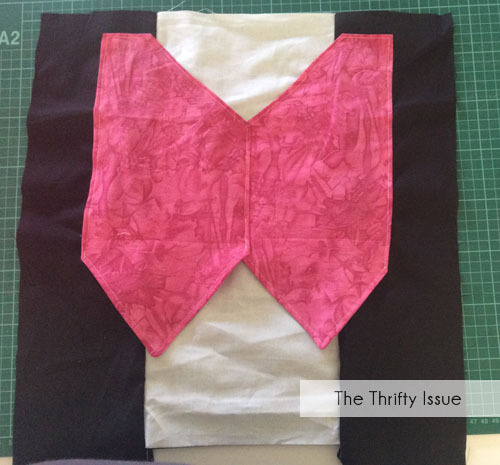 Next I cut out 2 vest shapes from the bright pink plus 2 extra triangles in pink to make the back of the bottom of the vest. I sewed the triangles to the vest with right sides together and then turned it right way out. 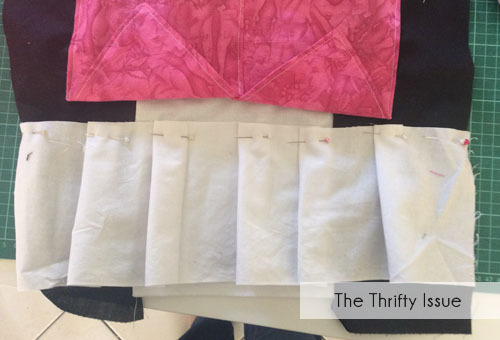 I sewed the vest onto the black/white fabric leaving the bottom triangle frees to flap. I then cut a long strip of white and hemmed it to be the collar ruffle. And another white strip hemmed to be the skirt. For the skirt I cut it 3 times the width of the pillow to make the ruffles. I added the skirt and made ruffles in the same way I did for the Ariel Apron. I then added a white ‘belt’ on top of the skirt but under the vest flaps. 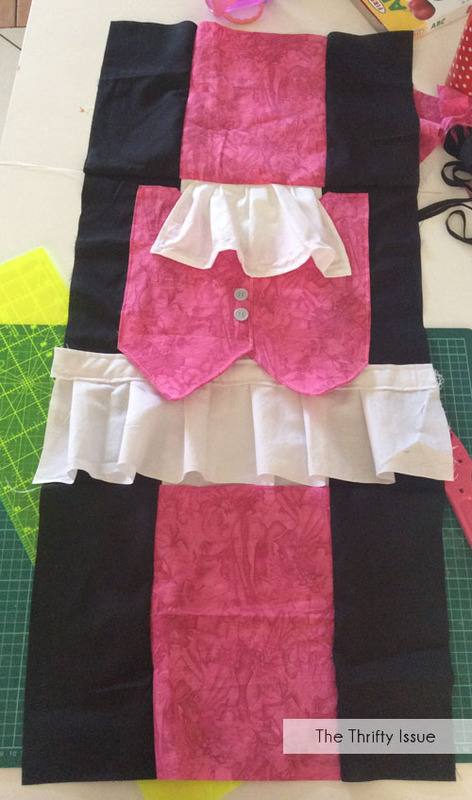 To add the collar I sewed it between the black/white fabric and the top black/pink fabric to give it a good hold. I then added the buttons on the vest and the pink sparkly one for her necklace. 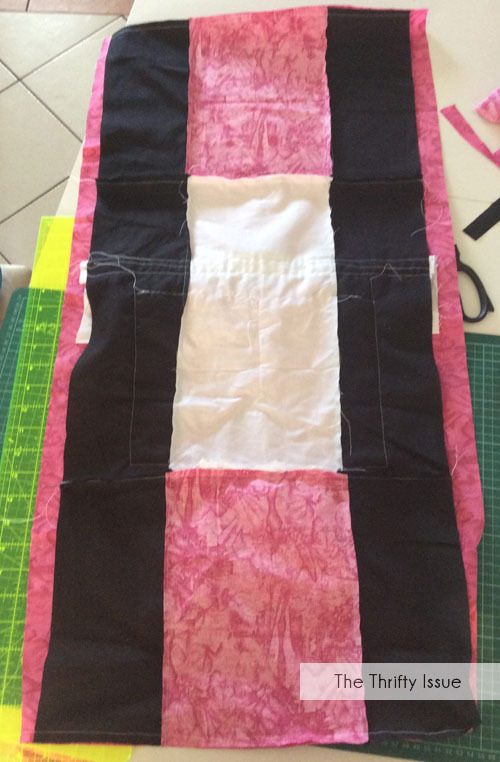 I sewed the bottom black/pink fabric on before attaching it all to the lining in the same method as the basic cushion. 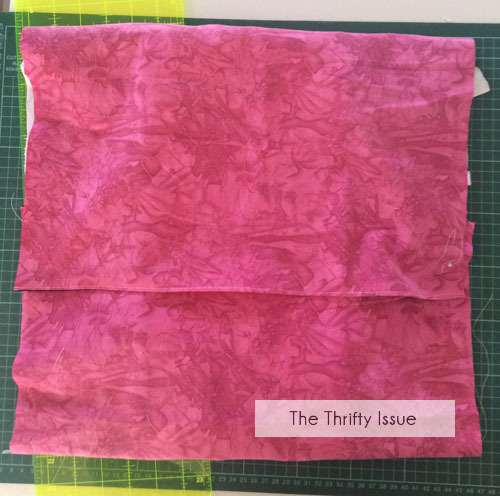 Once the lining was one I turned it right side out, top stitched the edges and folded it ready to sew into a cushion. This was the end result. 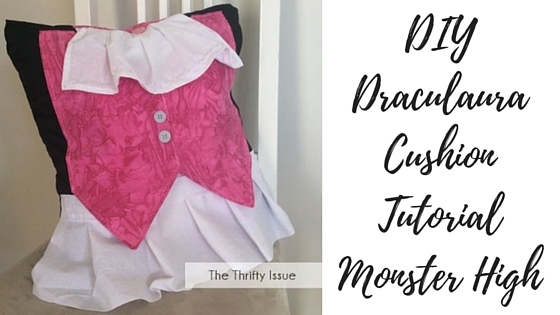 Are your kids into Monster High?